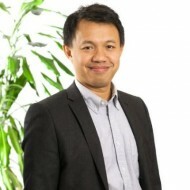 Fitrian Ardiansyah is Indonesia Country Director at IDH – The Sustainable Trade Initiative, among others, in charge in ISLA (initiative for sustainable landscapes) and helping coordinate palm oil and pulp and paper programs in Indonesia. 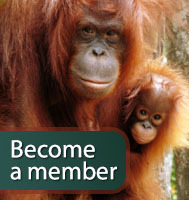 He is a Fellow at the International League of Conservation Writers, and a Scientific Advisor for the Orangutan Land Trust. He has helps think-tank organisations including Pelangi Indonesia and Article 33. He was undertaking doctoral research at the Crawford School, the Australian National University in Canberra, Australia. In the past, he was Adviser and Program Director for Climate and Energy, WWF-Indonesia. He was an expert for the Indonesia Forest Climate Alliance (IFCA) focusing in developing the framework of REDD+ in Indonesia and a member of Indonesian Official Delegates to UNFCCC (United Nations Framework Convention of Climate Change). He was also adjunct lecturer at the Post Graduate School of Diplomacy, Universitas Paramadina. Fitrian has been active in writing articles and contributing to publications for reputable media and organizations, including the Jakarta Post, Coal Asia, Strait Times, Asia Views, East Asia Forum, Inside Indonesia, the Strategic Review, the Jakarta Globe, Antara and Koran Tempo. He is an accomplished speaker at different national and international fora. In addition to his core work, Fitrian served as an Advisory Board member of Asian Young Leaders Climate Forum, a member of Australian Government Scholarships Alumni Reference Group (ARG), a technical expert member of the Roundtable on Sustainable Biofuels (RSB), and a member of the Global Youth Forum on Agriculture Research and Development. Also, he was an active member of Criteria Working Group in the Roundtable on Sustainable Palm Oil/RSPO (producing Principles and Criteria on Sustainable Palm Oil) and a member of the Executive Board of RSPO. He received Australian Leadership Award and Allison Sudradjat Award from the Government of Australia. Specialties:He has more than 15 years working experience in the field of ecological and environmental economics, natural resource management, integrated spatial and land use planning, sustainable commodities, sustainable forest management as well as climate change and energy.